Do you have a community email list or Facebook group for your neighbourhood? In our area, there's the Dickens list, which is often entertaining & always useful. Like any of the online classified sites, there's people trying to sell stuff, in search of various items, & advertising services, etc. But there's also the odd unintentionally humorous post warning the neighbourhood about dangerous sightings, like... a rat. Omigod! A rat? Seen outdoors? In the city?!? 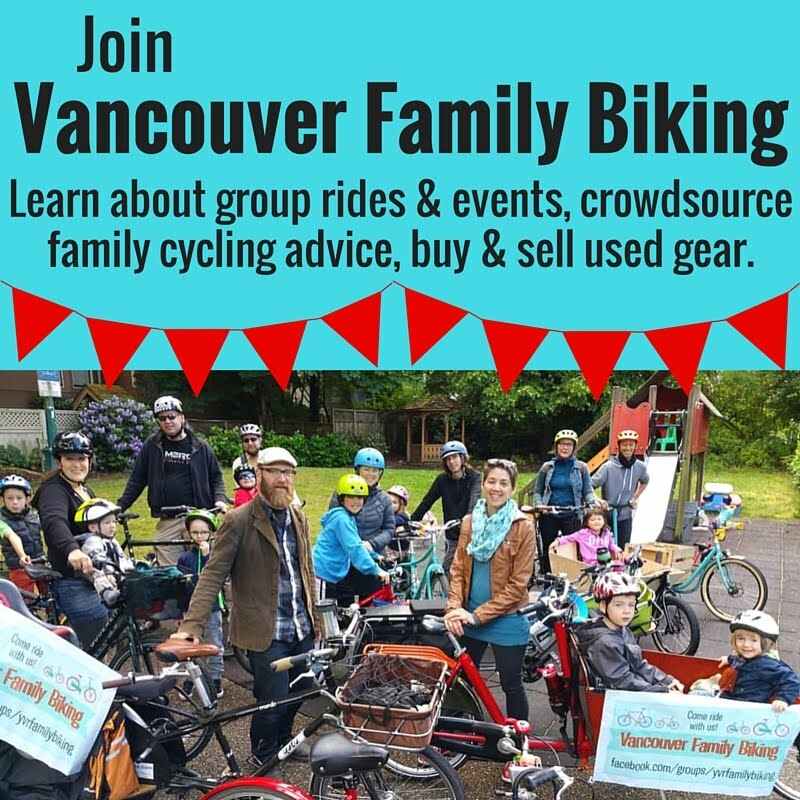 Seriously though, the Dickens List is great for car-free families to get used items because it's mainly people in the area between 12th Ave, King Edward, Fraser, & Knight. We've picked up all kinds of things by bike or on foot with a wagon because it's never too far to go. I like to think of it as 'hyperlocal'. 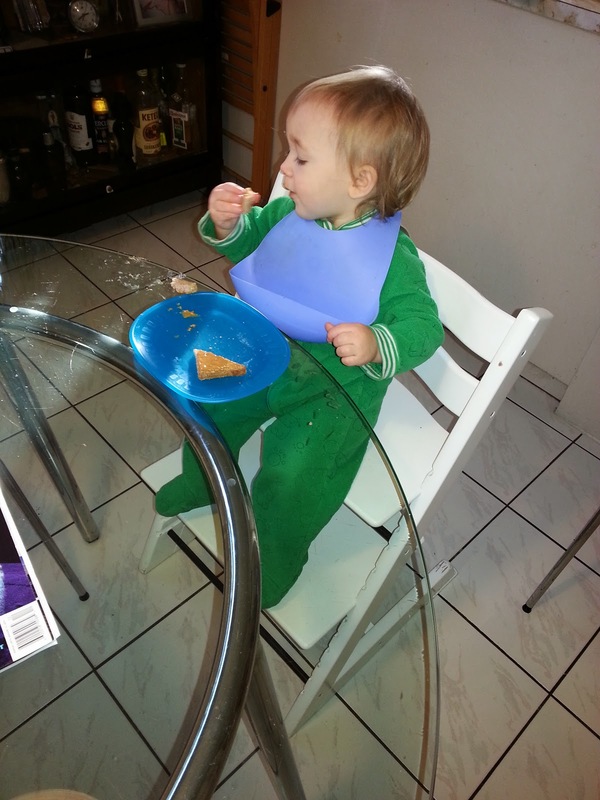 Last week I had the idea to post a note on the Dickens List that I was looking for a Stokke Tripp Trapp chair for Brontë. She loves climbing onto the one we got at Wee Ones a couple of years ago for Linnaeus & she's about the right age for one now. I'd actually been looking for one for a long time on Craigslist, but had no luck. The rare ads I did find were in other cities, which would mean adding the cost of a Modo car onto the already steep asking prices for the chair. Within 12 hours of my post going up on the Dickens list, I had three responses from people looking to sell the their Tripp Trapps. 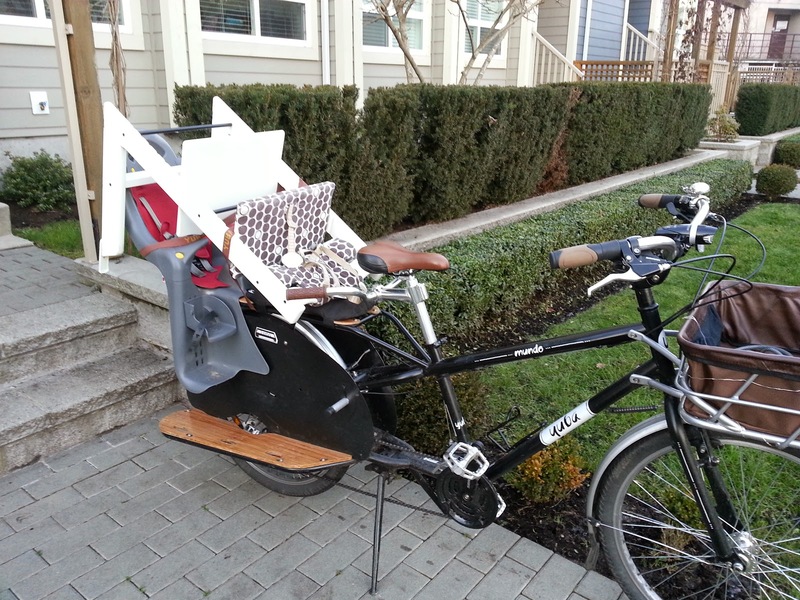 Some emailing back & forth, & a couple text messages & I had B's new chair strapped to my cargo bike to ride the few blocks home. We saved a lot of money & another family decluttered their dining room a bit. Hyperlocal, car-free living for the win!